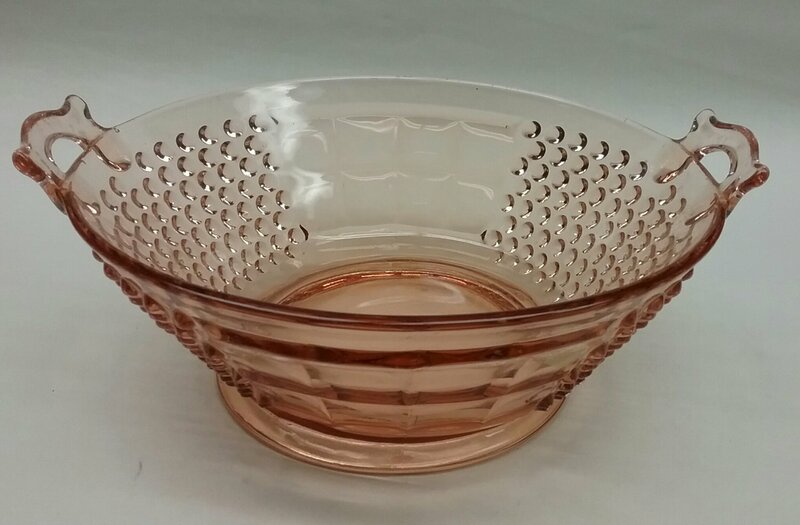 Pink depression glass handled bowl with hobnail pattern. 9.5" wide at the handles, 8.5" from the rim. Molded construction. One rough mold line mark.